I'm like a shadow. I'm always here to accompany you every step of the way. 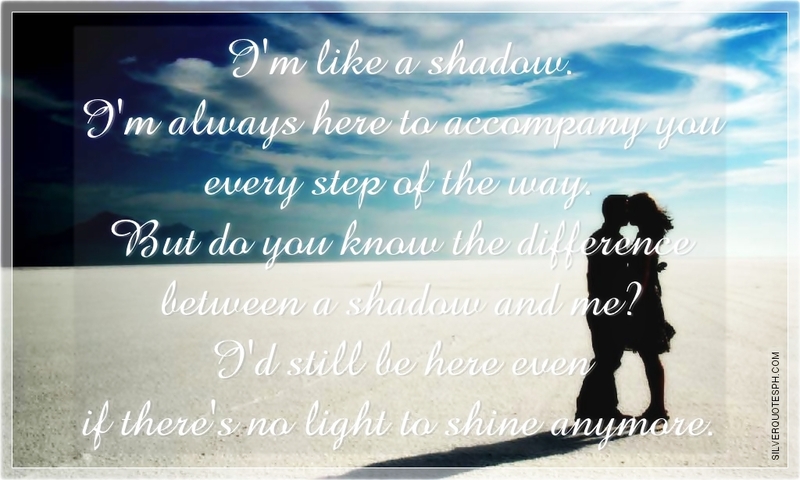 But do you know the difference between a shadow and me? I'd still be here even if there's no light to shine anymore.